I'm more than happy with my home, the quality is definitely there. Would I do it differently again? No, I wouldn't. Neil Crispin loves his footy almost as much as the quiet 5-acre block in Lower Chittering that he recently acquired for himself and his family. Neil approached us and said he wanted something other than the typical suburban house. We showed him the Karridale Retreat. 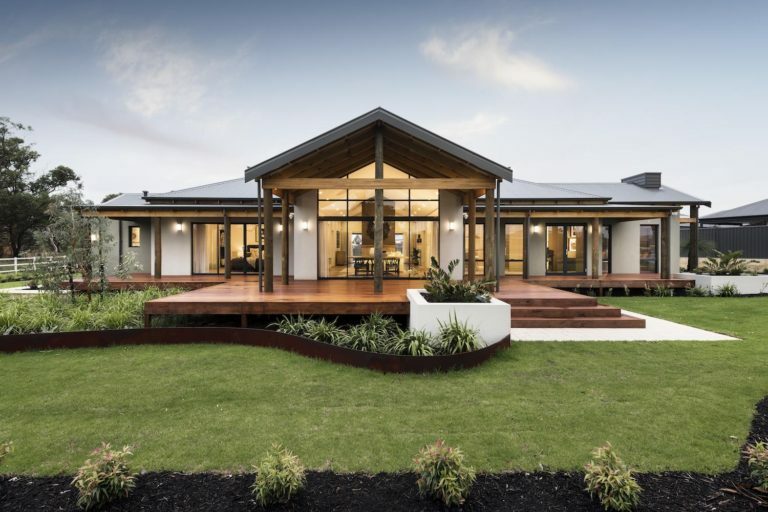 From the bush poles framing the verandah to the sweeping ceilings and a central fireplace in the main living area, this home design is anything but suburban! 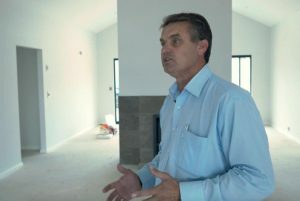 Neil explained that his new home is essentially a place for his kids to stay and have space when they visit home. Neil was a great client and held a close relationship with his New Homes Consultant and Supervisor. He commented to us that he was most impressed with the communication throughout the duration of his build. We believe it's always important to have any questions or concerns about your build answered efficiently. As our site supervisor simply but perfectly put it - "At the end of the day it's your house - we are building it for you!"